in Franklin County is not on the decline. Since 2009 our economy has been slowly improving. However, as the unemployment rate has decreased and wages have gotten better for some, the number of people in poverty in Franklin County has not similarly decreased. The population that was most damaged by the recession has not been able to catch up. That is why The Legal Aid Society of Columbus needs your contribution to continue serving this vulnerable population. 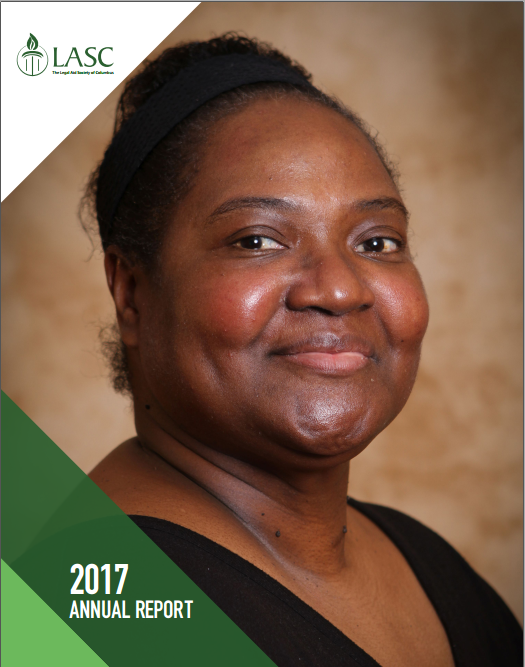 View our 2017 Annual Report to see how your contribution impacts our community. Automatic payroll deductions are a simple way to provide ongoing support for the cause that matters most to you. Contact your human resource department to find out how to take advantage. Double the impact of your gift by asking your employer to match it! Your company may offer a matching gift program. Contact your human resources office to find out about your company’s program. Leave a legacy of justice. Remembering the Legal Aid Society of Columbus in your estate plan or will can help change lives for generations to come. Learn more about leaving a bequest or gift from a retirement plan or life insurance policy. Contact Stephanie Harris, Development Director, at 614.824.2601.